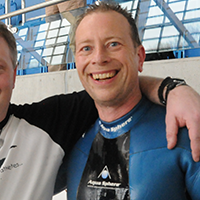 Apneists UK was established in 1999, formally as ‘The Manchester Freediving Group’ for Cheshire & North Wales. Since that time more and more freedivers have been introduced to the sport of apnea through our freediving school and we are continuously growing every year. We pride ourselves on maintaining good contact with divers throughout the UK as this give us a larger network of established pockets and the freedive community thoughout the world. 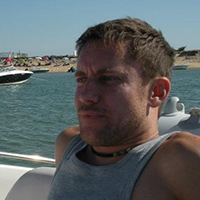 Apneists UK is headed by its founder Steve Millard, who has been in the watersports industry for over 20 years. Our central base is Manchester, England where most of our courses are run. 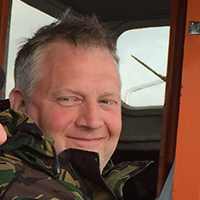 Students are able to benefit from joining a large network of qualified and experienced divers throughout Northern England, Scotland and Wales. We currently have groups in Manchester, Trafford, Stockport, Crewe, Huddersfield, Leeds, Sheffield, Liverpool, North Wales, Tamworth, Birmingham, South Lake District, Glasgow and Edinburgh amongst others, and we maintain close relationships with other UK groups so that our network can help you on your travels anywhere you are in the country. We teach all over the UK and abroad and will travel to your location for groups. We follow all standards set out by AIDA International the Professional Association of Diving Instructors and UK Health and Safety recommendations. Trying to describe our club in the best way is a challenge. I think the best description is that it gives you whatever you want out of Freediving. We have a minimum entry requirement so that all divers know what to do in the case of emergency, and how to look after each other, which means our starting base of people are also all considerate people. I have split the main focuses of the club into four main parts. There is a fifth, competition, but I treat that differently but is accessible by choice for anyone who chooses to go that route, but they really don’t have to. It is a pick and mix of what you want to do within the structure. 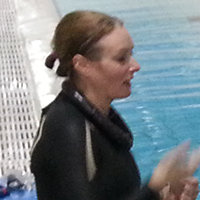 Freediving is a sport, it uses energy, but you are exercising doing something you enjoy. It helps weight loss, it improves cardiovascular fitness, and strengthens muscles and helps with flexibility amongst other benefits. This is an enjoyable way to keep fit whilst doing something you enjoy, as good a reason as any. We always have over 10 weekly pool sessions, sometimes more across the UK, and regular open water diving in the warmer months. We have regular pool sessions where people can turn up and socialise, enjoy a dive and come for the fun and relaxation of it all. This is as much of an option as performance training is. The beautiful thing about Freediving is that you can have people in the same pool space, with different goals and they all get what they need from a session. It works very well for us. Even though it is a very personal sport and you get out of it what you want, we also look after each other very closely, so strong bonds are formed. We dive both in pools and open water, and once again, you can specialise in either or both. We go swimming in the sea, we dive with sharks and seals and turtles and rays, we dive wrecks, we spearfish, we dive on sleds as deep as we can, we just turn up at remote locations and just dive, it is a very free sport, you have the option of accessing waterways, lakes, quarries, seas and oceans in a totally different way than you have experienced before. For the adventurous amongst us, this is certainly an option, but if not, the recreational diving is fun. We don’t just have Instructors in the club, we have coaches too. These are dedicated Freedive professionals who can spend time with athletes over long periods of time, help design training plans around their lifestyle, help work on their nutrition, technique, flexibility, fitness and a host of other skill sets in order to create the finished product, a world class athlete. Without doubt Apneists UK deliver in this field through regular coaching programs and we have had 27 National records through the club, we have had world champions in the club, national champions and we have no end of podium places to our name in competitions over the years and many times athletes have represented their country in world championships. We hope you will find our website useful and perhaps one day welcome you as a member too. If you have any question regarding are courses or freediving in general, or you just want to give us your feedback, then please don’t hesitate to contact us by email or call steve. We look forward to your reply . . . happy diving.